Hey everyone! 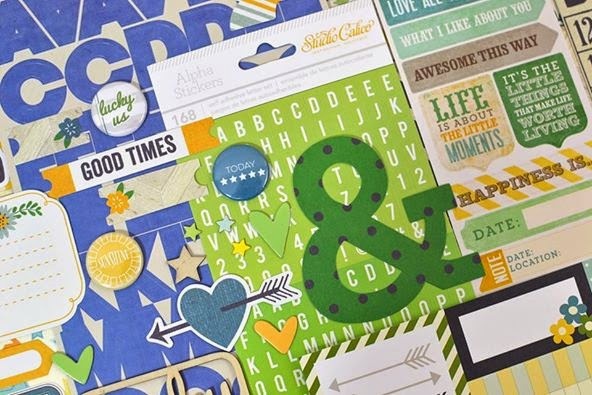 I have been at it again, playing with Scraptastic Club's April Worth Wondering Kit and Add-on. 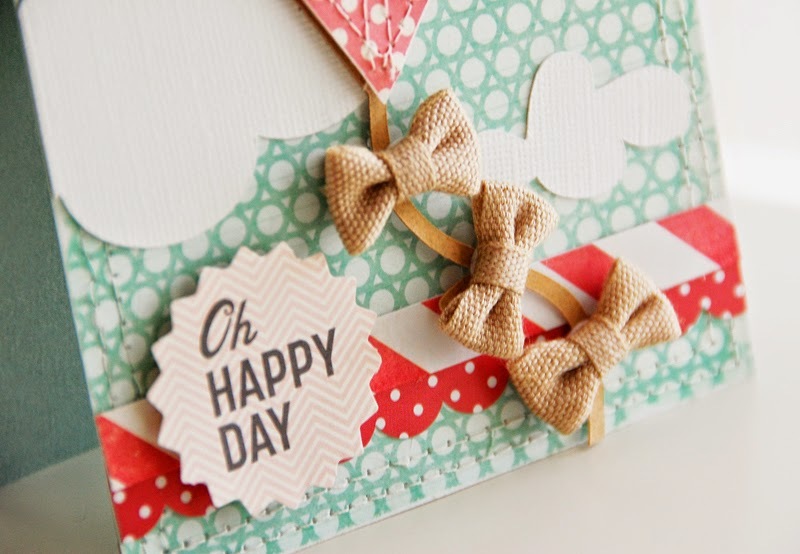 Today's card was totally inspired by the American Crafts DIY Shop burlap bows in the add-on. As soon as I saw the bows, I knew they would be perfect for the tail of a kite. 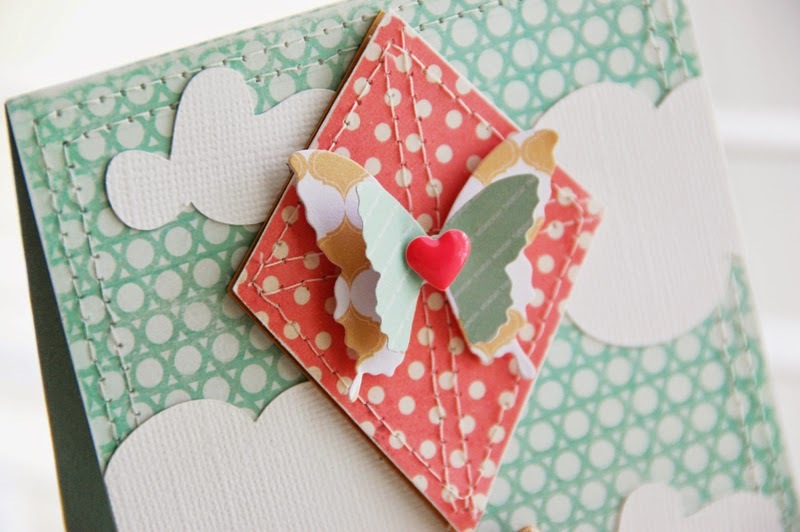 I die cut the kite (and clouds), added a little stitching and then added a Teresa Collins Butterfly Sticker and My Mind's Eye Hello enamel heart to the top of the kite. And I added those darling burlap bow to the string of the kite and finished the card with a sweet Girl Talk Snap Caps sentiment from October Afternoon. 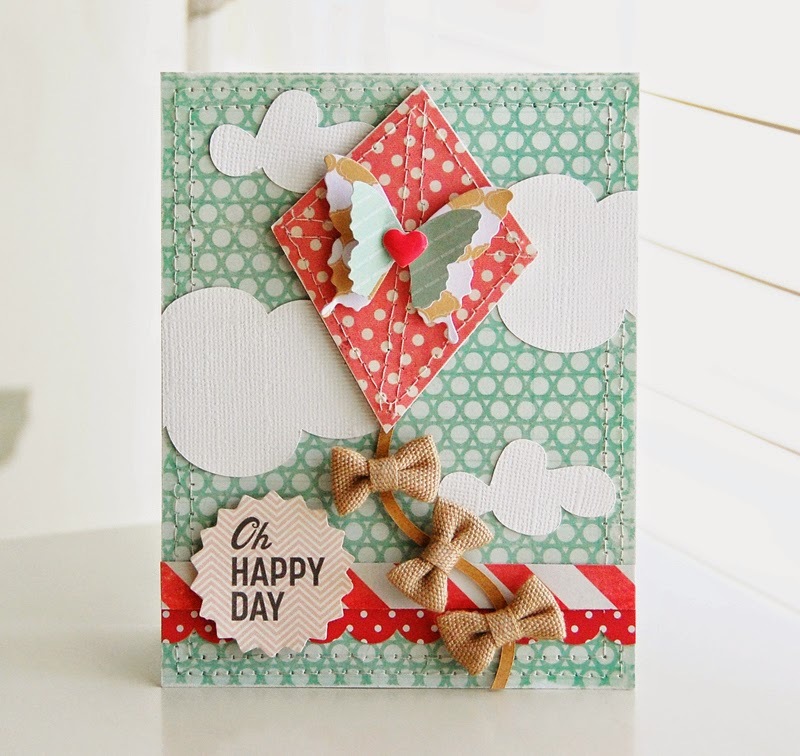 Perfect for spring, don't you think?! 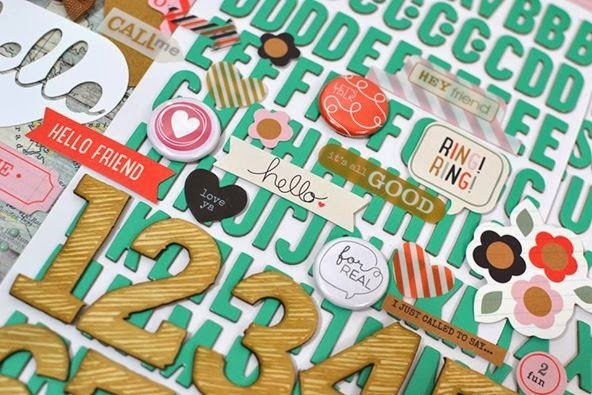 Now, for the Scraptastic Club May Sneaks! Don't they look amazing?! Which one is calling your name? If you don't already have one, you can sign up for a monthly subscription HERE. If you aren't ready to commit to a subscription, the kits will go on sale to the public May 1st. But beware... they sell out quick, so mark your calendars because you won't want to miss out. 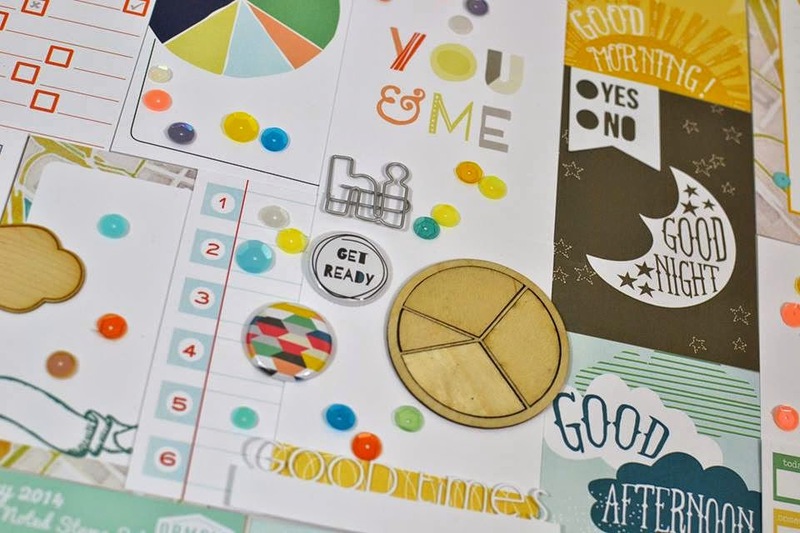 Such gorgeous projects! Absolutely love that kite card!